RICHMOND(November 21, 2016)-Attorney General Mark R. Herring today announced the completion of an expansion and reorganization of his Consumer Protection Section to protect Virginia consumers from abusive and illegal business practices. The reorganized section will aggressively enforce Virginia's consumer protection laws, provide exceptional customer service in resolving complaints and disputes, and provide robust consumer education to keep Virginians from being victimized by fraud, scams, or illegal or abusive business practices. "This reorganized, expanded, and re-energized consumer protection operation is going to be the advocate consumers need when they encounter illegal, deceptive, or abusive business practices," said Attorney General Herring. "We're going to use every tool at our disposal from mediation to investigation all the way up to legal action to make sure that everyone is playing by the rules and respecting the rights of Virginia consumers, because a strong consumer protection operation is good for Virginians and for all the Virginia businesses who play by the rules, follow the law, and treat their customers with respect. Whether it's a billing dispute that might only affect one customer, or a large corporate merger that could drive up prices for millions of Virginians, I want Virginians to know we've got their back and we're here to help." The Consumer Protection Section reorganization has been designed and led by Deputy Attorney General for Civil Litigation Rhodes B. Ritenour. The Section is led by Section Chief Richard S. Schweiker, Jr. who brings more than 20 years' experience in the OAG Consumer Protection Section to his new role as section chief. In addition, the number of attorney positions in the Section has doubled from 5 to 10, complemented by 18 additional personnel including investigators, dispute resolution specialists, intake specialists, and paralegals. Counseling, Intake, and Referral Unit-This Unit serves as the central clearinghouse in Virginia for the receipt, evaluation, and referral of consumer complaints and operates the state's consumer protection hotline. 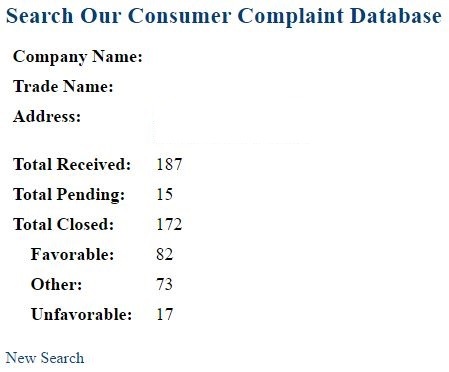 Complaints are referred to the appropriate local, state, or federal agency, or handled within the OAG Consumer Protection Section through referral to the Dispute Resolution Unit or the Section's investigators. This Unit also leads the Section's consumer education efforts, including scam alerts and newsletters. In 2015, the Unit received 31,900 calls through the consumer hotline and received 4,366 written consumer complaints. The Unit is led by Linda Dickerson who has more than 35 years of experience in consumer protection. Dispute Resolution Unit-This Unit offers dispute resolution services by acting as neutral facilitators for complaints that may not constitute a violation of Virginia's consumer protection laws but nevertheless deserve a resolution that works for both parties. In 2015, the Unit and Section investigators resolved or closed 3,992 consumer complaints and recovered $1,725,876 for consumers. The Unit is led by Demetrice Davis, a certified mediator with 18 years of experience handling consumer complaints as well as consumer fraud and customer service issues. Predatory Lending Unit-This Unit investigates and prosecutes suspected violations of state and federal consumer lending statutes, including laws concerning payday loans, title loans, consumer finance loans, mortgage loans, mortgage servicing, and foreclosure rescue services. The Unit is led by David Irvin, one of Virginia's foremost experts on consumer finance law, who brings nearly thirty years of consumer protection and enforcement experience to the Unit. Charitable Solicitations and Deceptive Conduct Unit-This Unit investigates and prosecutes suspected violations of the Virginia Consumer Protection Act ("VCPA"), the Virginia Solicitation of Contributions law, and other state and federal consumer protection laws. The Unit is led by Mark Kubiak who brings a decade of experience to the role. "We've spent a lot of time organizing the Section in a way that will make it run smoothly, efficiently, and effectively for consumers," said Attorney General Herring. "I'm particularly proud that we've been able to add a specific focus on predatory lending. Too many Virginians seek out short-term loans that snag them in a debt trap they can't get out of, whether it is a car title, payday, or open-ended loan. In 2015, more than 16,000 Virginians had their car repossessed and sold when they got behind on a car title loan, and more than 2,600 faced lawsuits from payday lenders when they couldn't afford to repay their loan. We've also seen pawnbrokers, open-end credit plan lenders, and other unlicensed businesses effectively operating as illegal short-term lenders. My team and I are going to aggressively enforce Virginia's consumer finance statues, even as we push for stronger laws to protect Virginians from these predatory loans that are often little more than financial quicksand." 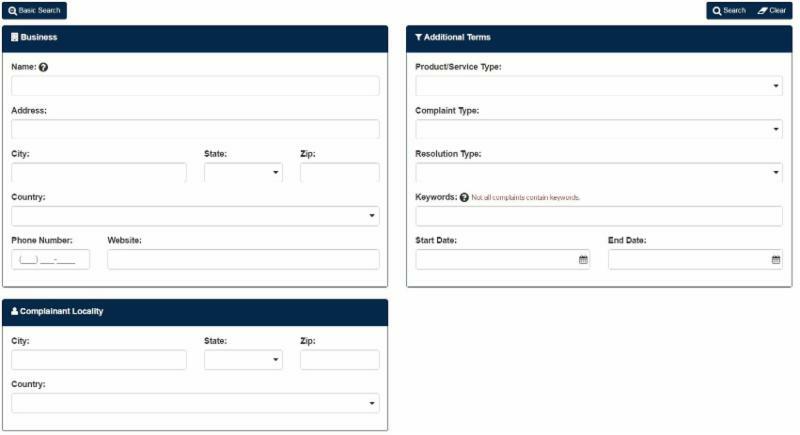 The Consumer Protection Section also has a new user-friendly home page where Virginians can easily get information about their rights as consumers, how to protect themselves against scams or fraud, file a complaint online, or search the consumer complaint database. The site also includes scam alerts, recent news from the Consumer Protection Section, and relevant laws and cases about consumer protection matters. Attorney General Herring is organizing and convening two advisory groups to bring together statewide stakeholders from the business community, nonprofits and advocates, and government agencies to address emerging consumer protection issues and make recommendations on needed enforcement actions, educational campaigns, and more. Consumer Advisory Committee: The goals of the Consumer Advisory Committee are to: (1) promote collaboration and cooperation among the various government agencies responsible for protecting the interests of the citizens of the Commonwealth as consumers; (2) share information regarding consumer complaint trends, emerging scams, and other current consumer protection issues; and (3) promote consumer education and fraud prevention. Reasonable Rate Lending Committee: The goals of the Reasonable Rate Lending Committee are to: (1) encourage lenders, employers, and, possibly, faith-based institutions to offer small-dollar, short-term, lower-interest loan alternatives to payday loans, motor vehicle title loans, Internet installment and open-end credit loans; (2) educate lenders, employers and faith-based institutions about the need consumers have for alternative loan products; (3) gather and share with interested parties in Virginia information about the types of alternative loan products being made available to consumers here and in other parts of the country; and (4) educate the consuming public about the availability and comparative features of alternative loan products being offered in the marketplace. Throughout the reorganization and expansion process, the Consumer Protection Section has remained active in protecting Virginians from harmful, abusive, or illegal business practices. "Even as we've pursued this reorganization and expansion we have worked nonstop to protect Virginia consumers and to hold bad actors accountable," said Attorney General Herring. "I'm really proud of the work we've been able to do on behalf of consumers, handling thousands of calls and complaints, putting millions of dollars back in Virginians' pockets, and sending a clear signal that Virginia won't accept illegal, deceptive, or abusive business practices." The Section has obtained judgments or settlements awarding approximately $22 million in restitution, approximately $31 million in civil penalties and attorneys' fees, and approximately $130 million in consumer debt forgiveness. The Section has transferred nearly $7 million to the Commonwealth's General Fund. Predatory lending enforcement-The Section has successfully brought enforcement actions for violations of Virginia's car title loan, consumer finance, payday loan, and pawnbroker statutes. USA Discounters- Virginia successfully led the negotiation of a settlement between 49 states plus the District of Columbia and retailer USA Discounters to resolve the states' claims of deceptive trade practices by the company against its customer base of largely military families and veterans. The settlement will result in nearly $100 million of forgiven debt and restitution nationwide, including more than $10.5 million to more than 8,000 Virginia customers. This is the largest multistate consumer settlement ever led by Virginia. Freedom Furniture- Virginia partnered with the Consumer Financial Protection Bureau and the state of North Carolina to protect military servicemembers from illegal debt collection practices. Virginia and our enforcement partners alleged that Freedom Stores, Inc., Freedom Acceptance Corporation, and Military Credit Services LLC used illegal tactics to collect debts, including filing illegal lawsuits, debiting consumers' accounts without authorization, and contacting servicemembers' commanding officers. The CFPB and the states filed a consent order in federal court to require the three companies and their owners and chief officers, John Melley and Leonard Melley, Jr. to provide over $2.5 million in consumer redress and to pay a $100,000 civil penalty. VW settlement-The Commonwealth of Virginia is receiving more than $100 million and qualified Virginia VW owners are receiving tens of millions more in direct compensation under the terms of a settlement addressing Volkswagen's illegal modification of the emissions systems of certain vehicles and violations of state laws prohibiting unfair or deceptive trade practices. As part of the settlement, VW will fix affected vehicles, provide millions in compensation directly to the owners of the more than 20,000 affected VW and Audi vehicles bought or leased in Virginia, compensate the state for violations of consumer protection laws, and establish a trust fund for use on projects to improve the environment by reducing air pollution in the transportation sector. Fake cancer charity enforcement action-Virginia joined state and federal partners to shut down a series of sham charities whose operators were accused of bilking more than $187 million from donors who thought they were supporting cancer patients. Virginia served on the multistate executive committee that led this unprecedented action brought by the Federal Trade Commission, all 50 states, and the District of Columbia. E-book price fixing cases-Through two multistate settlements the Consumer Protection Section secured and oversaw the distribution of millions in compensation for Virginia consumers harmed by an illegal price fixing scheme involving e-books. Mobile "cramming" cases-As part of four multistate settlements, Virginians received compensation for illegal charges by mobile phone carriers Verizon, Sprint, AT&T, and T-Mobile. Consumer advocacy-As the Commonwealth's chief advocate for consumers, the Section filed amicus briefs with the Virginia Supreme Court and comment letters with the Consumer Financial Protection Bureau in support of consumer interests.